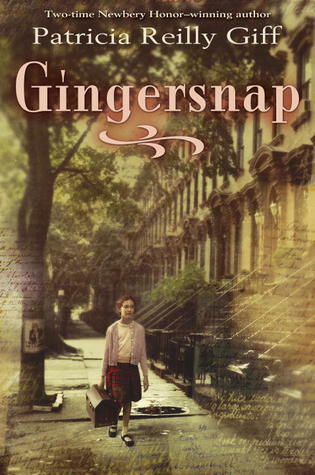 Gingersnap by Patricia Reilly Giff is a nominee for the 15-16 South Carolina Children’s Book Award. The year is 1944, and war continues to hold the world in its grips. Jayna knows it’s just a matter of days before her big brother Rob, the only family she has, will be deployed on a ship headed for the fighting in the Pacific. Jayna tries to put on a brave face, but she’s not happy about being separated from her brother once again, and she doesn’t want to live with Celine, their grumpy landlady, while Rob is away. After Rob leaves for duty, Jayna is comforted by her turtle Theresa, cooking soup, and by an odd presence that seems vaguely familiar. Is this a ghost? If so, who is it, and what does it want with Jayna? 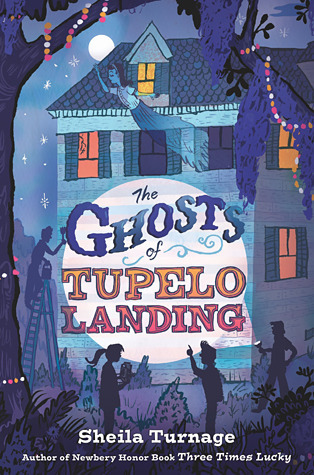 When Jayna receives the devastating news that her brother is missing in action, this “ghost” leads the girl back to their house and to an old box in a closet. There Jayna finds an old blue cookbook and the address of a Brooklyn bakery called Gingersnap (which happens to be Jayna’s nickname). Jayna, though scared and unsure, sees the bakery’s name as a sign, and she packs up her turtle, the blue cookbook, and most of her belongings and sets off for an uncertain future and a grandmother she’s never known. Jayna is accompanied by the voice of her ghostly companion, and she eventually arrives in Brooklyn. What she finds there, however, may not be exactly what she expected. Jayna is very confused about her current circumstances and what will happen to her should her brother never return. She likes being in Brooklyn and the friends she’s made, but what if Rob never comes back to her? What if he’s gone forever? Jayna seeks out her ghostly friend to give her some measure of help, but she doesn’t know if that will be enough to keep her brother safe or to preserve the little family she’s made for herself in Brooklyn. What will become of young Jayna in this time of turmoil? Read Gingersnap by Patricia Reilly Giff to find out! While Stella’s flighty mother is drifting from one town to the next, Stella is sent to live with her Great Aunt Louise on Cape Cod. Even though Louise is kind of grumpy sometimes, Stella likes living with her. Louise keeps things nice, neat, and orderly, something Stella’s mom never did. Stella has high hopes that her mom will eventually settle in Cape Cod with her and Louise, and they’ll be a happy family. One obstacle to that “happy family” scenario–along with Stella’s mom’s lack of reliability–may be Angel, a foster kid who’s also living with Louise. Angel and Stella are like oil and water, and they seem to work best when they stay far away from each other. Fate, however, seems to have other ideas. When the girls discover that Louise has suddenly passed away, they must work together to decide what to do. Neither girl wants to go into group homes or anything like that, so they do the only thing they can think of. They keep Louise’s death a secret. They make up plausible excuses for Louise’s absence. They take care of the vacation cottages that Louise was responsible for. Stella takes comfort in cleaning, gardening, and keeping Louise’s prize blueberries alive. Both girls do what they must to survive as long as they can. It’s not easy, but Stella and Angel think they have no other choice. They must learn to rely on each other. Both Stella and Angel have taken on more than any two kids should, but their predicament is bringing them closer together. They’re communicating, working together, and learning more about each other. They each have their own ways of coping with this horrible situation, and they’re doing the best they can. But what happens when the secrecy finally becomes too much? When the truth is revealed, what will it mean for Stella, Angel, and their future? Will they find the sense of family and home they so desperately need? Will someone finally take care of them? 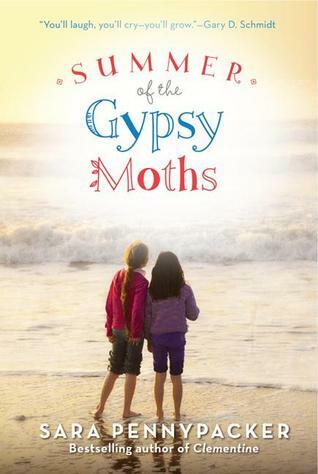 Find out when you read Summer of the Gypsy Moths, a 14-15 South Carolina Book Award nominee by Sara Pennypacker! 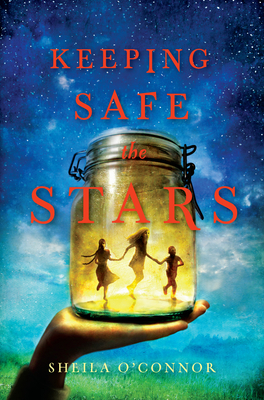 Keeping Safe the Stars by Sheila O’Connor is a nominee for the 2014-15 South Carolina Children’s Book Award. Pride, Nightingale, and Baby Star are three kids who live in virtual seclusion with their grandfather, Old Finn. When Old Finn gets sick, however, these three kids will have to rely on their own wits to stay together…and keep everyone from knowing that they’re on their own. None of them wants to return to a shelter or group home like the one that they were in when their mother died. Keeping safe the Stars is the most important thing in the world. Thirteen-year-old Pride (also known as Kathleen) is determined to take over until Old Finn returns. She goes to town for groceries, she cares for their elderly neighbor and her siblings, and, when she discovers that Old Finn has been moved to a hospital in the city, she devises a plan to earn money and get to her beloved grandfather. It doesn’t take long for everything to start weighing on young Pride’s shoulders. She’s told her share of lies to make sure no one discovers she and her siblings are alone, but those lies are catching up with her. Pride knows that if she can just get to Old Finn, he’ll tell her what she needs to do. He’ll show her how to keep her family safe. When Pride, Nightingale, and Baby finally make it to Old Finn, though, they discover that their situation is more complicated than ever. This family–a group that is independent and self-reliant to a fault–is going to need help to make it through the days ahead. But who can they rely on to give them the help they need while keeping them together? 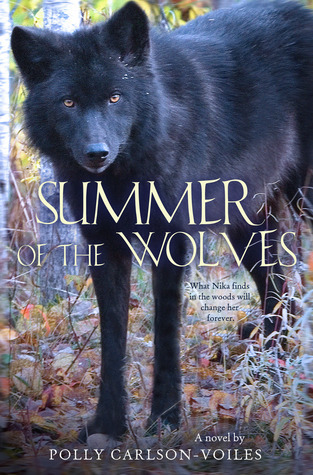 Pretty soon, Pride and her siblings will discover that the help they need is all around. All they have to do is accept it. Set against the backdrop of the last days of Nixon’s presidency, Keeping Safe the Stars is a book about keeping a family together at all costs, being honest with oneself and others, and asking for help when it’s truly needed. Roo has some trouble adapting to her new home. She’s not used to being watched so much, and she looks for places to hide, places to make herself as small and unnoticeable as possible. But what will happen when Roo is the one who begins to notice things–strange things about both the island and the building that is now her home? Roo often hears a strange humming noise in the house, and she does her best to figure out where the noise is coming from. Her explorations lead her to some big surprises…including a garden that has been left to die in the center of this mysterious house. Who put this garden in the middle of the house? Why? And why has it been abandoned and left to die? Roo is searching for answers to the mysteries surrounding her, and she may find help in some unexpected places. 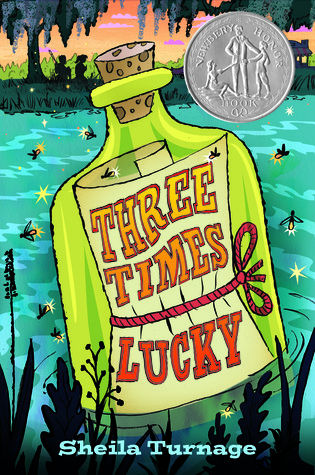 She encounters a remarkable boy who appears to live on the river. What’s his story, and where is his home? Roo also discovers yet another strange boy living right next to her. Who is this boy, and why is everyone so determined to keep him a secret? More importantly, what is his connection to her often-absent uncle and the dying garden that has been kept hidden from everyone? Join Roo as she struggles to save the things that are fast becoming important to her–friendship, a family she never knew she wanted, and a garden that, with a little love and care, can blossom just like Roo’s hopes for the future. Explore the possibilities when you read The Humming Room by Ellen Potter. 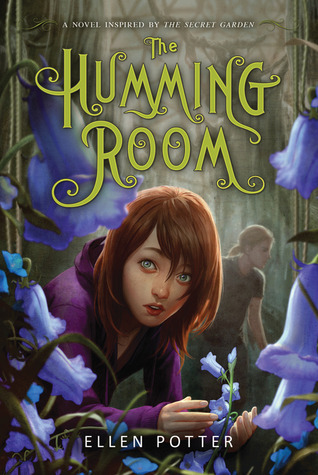 The Humming Room, which is based on The Secret Garden, is an excellent read for those in grades 3 and up. I’m guessing that adults who enjoyed The Secret Garden will enjoy comparing the two books, and The Humming Room may just convince readers who haven’t read The Secret Garden to finally give it a try.